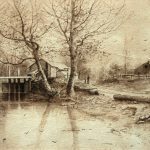 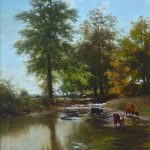 Charles W. Knapp is well known for his quintessential depictions of farm life along the rivers and shorelines of America from New Hampshire to upper state New York. 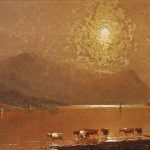 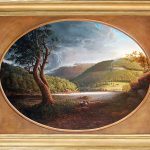 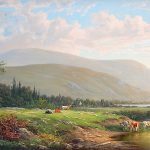 “View of the Susquehanna River” was painted between 1860-1870 in Pennsylvania farm country, where cattle drank along rivers and farmers piled hay on wagons to feed animals. 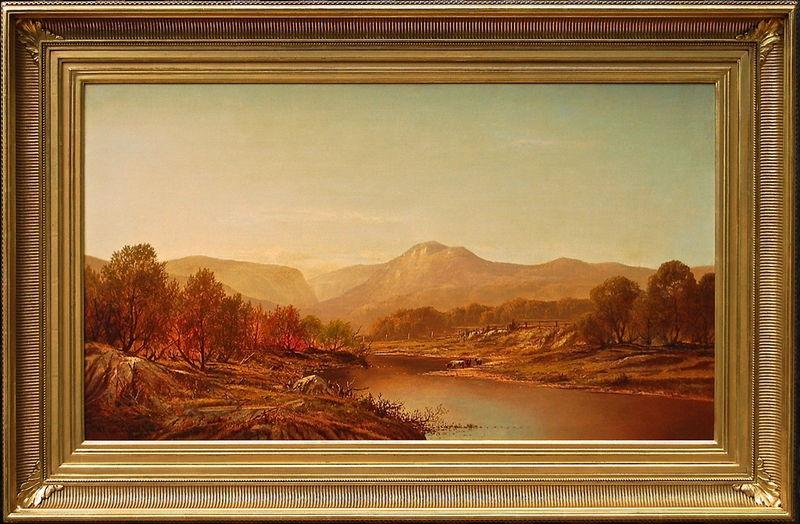 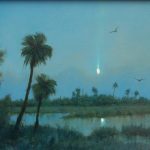 This canvas is a major example painted during the peak of the Hudson River School tradition. 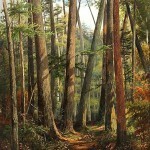 Knapp was born in Philadelphia in 1823 and he died in that city in 1900. 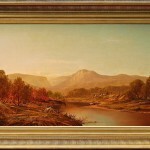 He first exhibited at the National Academy of Design in New York City in 1859, at which time his address is listed as New York City. 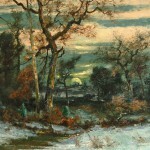 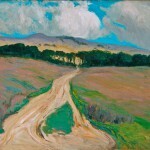 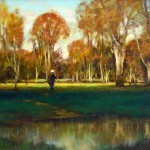 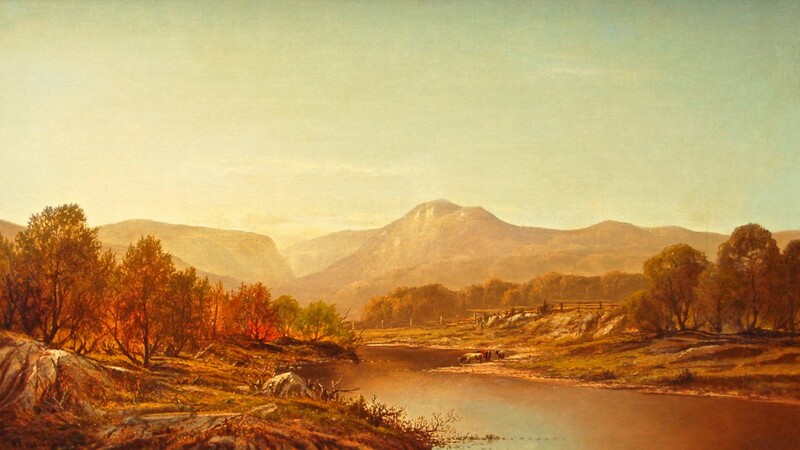 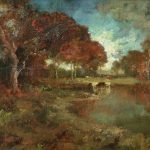 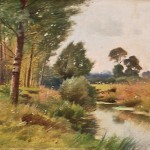 In 1878 he exhibited two New Hampshire views at the Massachusetts Charitable Mechanics Association in Boston, many views at the Pennsylvania Academy of Fine Arts (1877-1887) and most recently his canvases of Ellsworth Brook in West Campton, NH, the Entrance to Franconia Knotch, Silver Lake near Mount Chocorua, the Peabody River in Mount Washington, Saco and Kearsarge and the White Mountains from Androscoggin Valley were listed in New Hampshire Scenery (C.H. 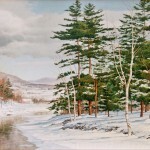 Campbell, NH Historical Society, Phoenix Publishing1985). 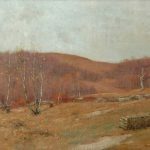 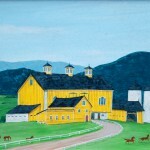 His paintings are in many relevant private collections and at the New Hampshire Historical Society, Dartmouth College Art Galleries and elsewhere. 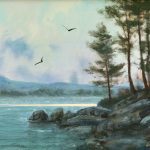 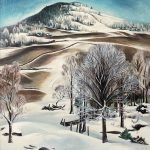 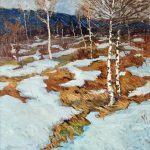 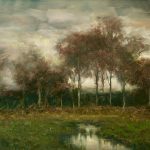 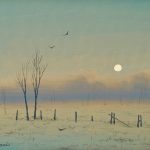 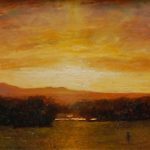 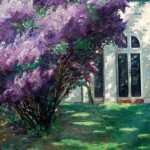 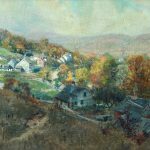 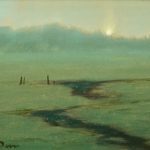 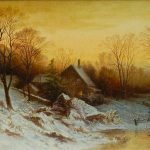 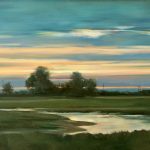 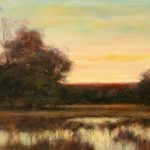 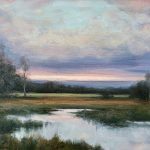 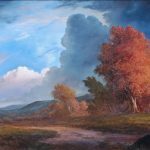 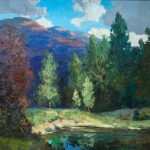 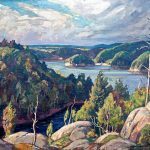 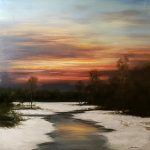 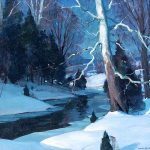 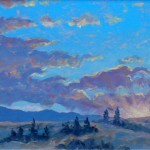 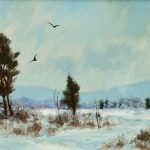 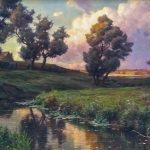 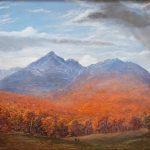 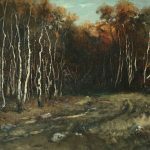 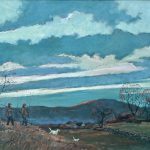 He is considered a leading White Mountains painter, but he spent many years in and around Philadelphia and the Susquehanna River painting landscapes from life. 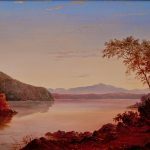 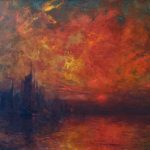 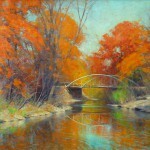 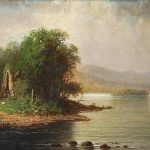 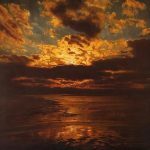 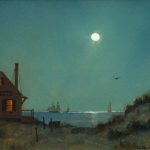 He also painted Narragansett Bay (RI), the Pocanos, the Catskills, the Delaware Water Gap and along the New Jersey Shore.